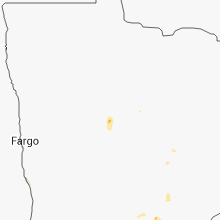 The Lake George, MN area has had 1 report of on-the-ground hail by trained spotters, and has been under severe weather warnings 16 times during the past 12 months. 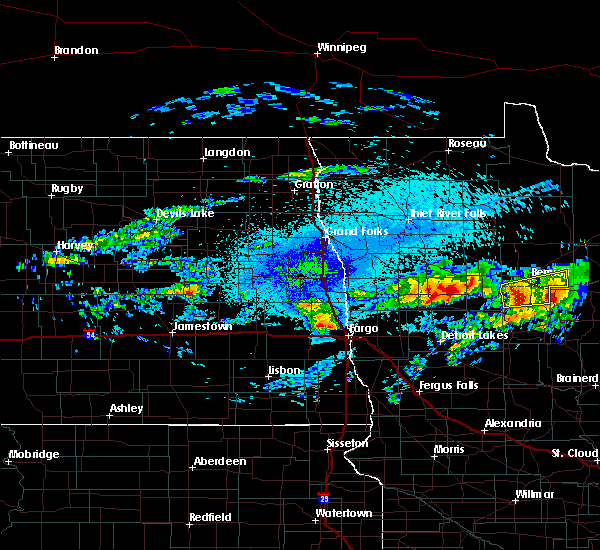 Doppler radar has detected hail at or near Lake George, MN on 27 occasions, including 6 occasions during the past year. 9/14/2018 11:23 PM CDT The national weather service in grand forks has issued a * severe thunderstorm warning for. east central hubbard county in north central minnesota. until midnight cdt. At 1122 pm cdt, a severe thunderstorm was located over camp wilderness, or 27 miles south of bemidji, moving east at 35 mph. 9/14/2018 10:08 PM CDT At 944 pm cdt, a severe thunderstorm was located over plantagenet lake, or 8 miles south of bemidji, moving east at 30 mph (radar indicated). Hazards include quarter size hail. Damage to vehicles is expected. this severe storm will be near, nary, rosby and guthrie around 955 pm cdt. Other locations impacted by this severe thunderstorm include camp thunderbird east and camp thunderbird west. 9/14/2018 9:44 PM CDT At 944 pm cdt, a severe thunderstorm was located over plantagenet lake, or 8 miles south of bemidji, moving east at 30 mph (radar indicated). Hazards include quarter size hail. Damage to vehicles is expected. this severe storm will be near, nary, rosby and guthrie around 955 pm cdt. Other locations impacted by this severe thunderstorm include camp thunderbird east and camp thunderbird west. 9/14/2018 9:23 PM CDT The national weather service in grand forks has issued a * severe thunderstorm warning for. northern hubbard county in north central minnesota. southeastern beltrami county in north central minnesota. until 1015 pm cdt. 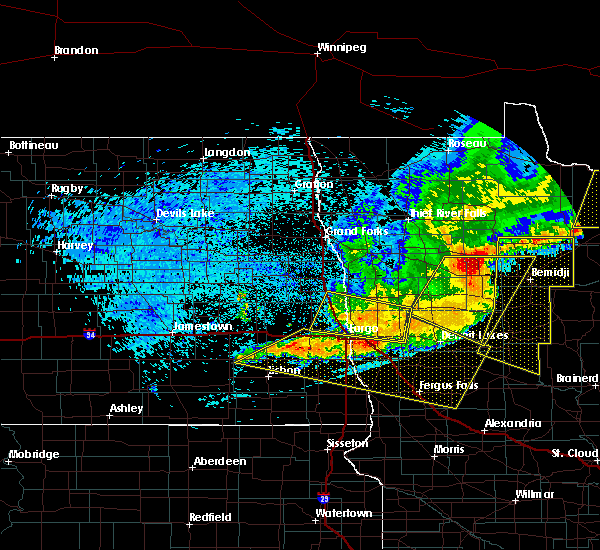 At 923 pm cdt, a severe thunderstorm was located over becida, or 14. 8/27/2018 1:25 AM CDT At 124 am cdt, severe thunderstorms were located along a line extending from near puposky to itasca state park, moving east at 40 mph (radar indicated). Hazards include 60 mph wind gusts and quarter size hail. Hail damage to vehicles is expected. Expect wind damage to roofs, siding, and trees. 7/11/2018 11:48 PM CDT At 1147 pm cdt, severe thunderstorms were located along a line extending from near kabekona to dorset to near park rapids, moving east at 50 mph (radar indicated). Hazards include 70 mph wind gusts and quarter size hail. Hail damage to vehicles is expected. expect considerable tree damage. wind damage is also likely to mobile homes, roofs, and outbuildings. these severe storms will be near, benedict and nevis around 1155 pm cdt. akeley around 1200 am cdt. badoura and chamberlain around 1210 am cdt. 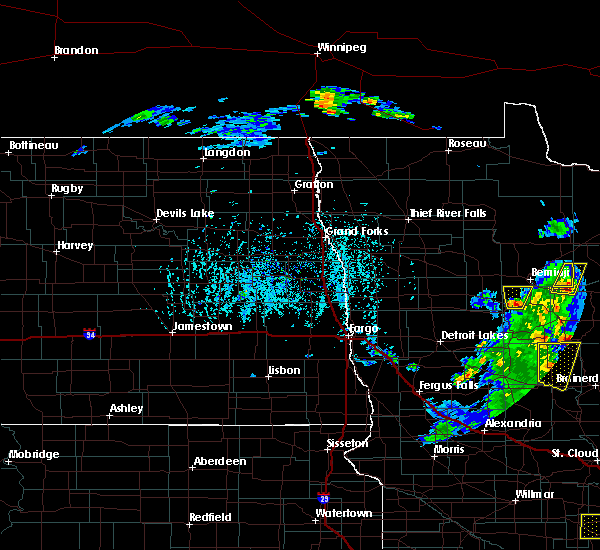 A tornado watch remains in effect until 100 am cdt for central, north central and northwestern minnesota. 7/11/2018 11:26 PM CDT At 1125 pm cdt, severe thunderstorms were located along a line extending from itasca state park to near pine point, moving east at 35 mph (radar indicated). Hazards include 60 mph wind gusts and quarter size hail. Hail damage to vehicles is expected. expect wind damage to roofs, siding, and trees. 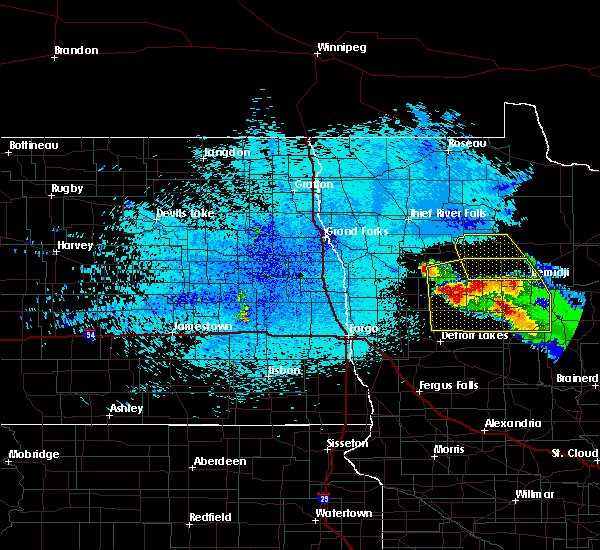 severe thunderstorms will be near, southern itasca state park around 1130 pm cdt. osage around 1145 pm cdt. camp wilderness and two inlets around 1150 pm cdt. 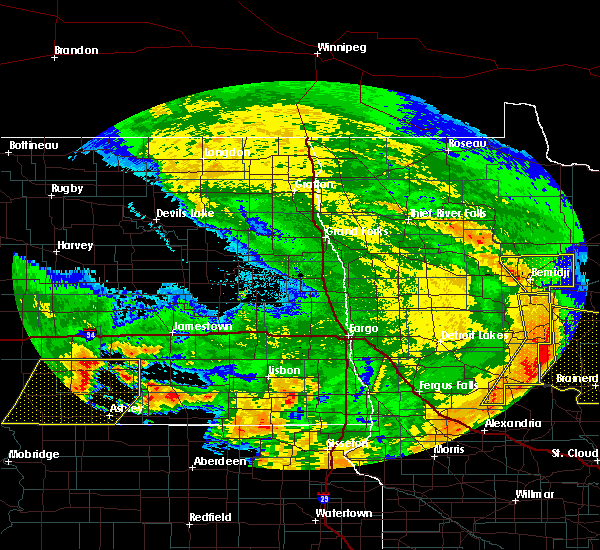 park rapids around 1200 am cdt. benedict, dorset and emmaville around 1210 am cdt. A tornado watch remains in effect until 100 am cdt for central, north central and northwestern minnesota. 6/30/2018 2:00 AM CDT At 200 am cdt, a severe thunderstorm was located near camp wilderness, or 26 miles south of bemidji, moving east at 35 mph (radar indicated). Hazards include 60 mph wind gusts and quarter size hail. Hail damage to vehicles is expected. expect wind damage to roofs, siding, and trees. 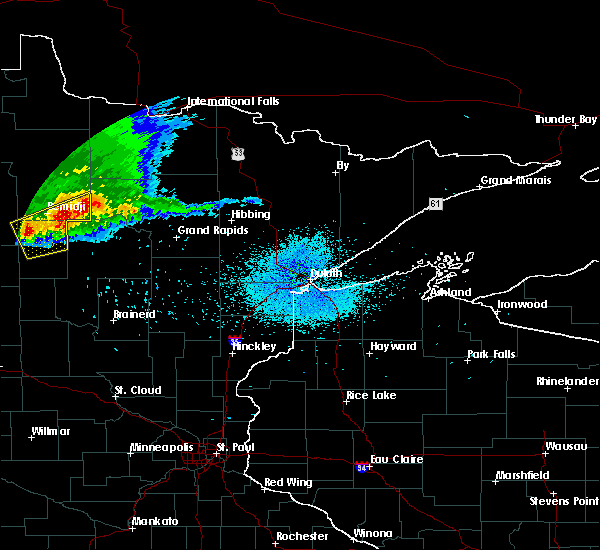 this severe storm will be near, akeley around 210 am cdt. Benedict and laporte around 215 am cdt. 6/30/2018 1:44 AM CDT At 144 am cdt, a severe thunderstorm was located near emmaville, or 29 miles south of bemidji, moving east at 35 mph (radar indicated). Hazards include 60 mph wind gusts and quarter size hail. Hail damage to vehicles is expected. expect wind damage to roofs, siding, and trees. this severe thunderstorm will be near, emmaville around 150 am cdt. camp wilderness around 155 am cdt. akeley around 210 am cdt. Benedict and laporte around 215 am cdt. 6/29/2018 6:20 AM CDT At 602 am cdt, severe thunderstorms were located along a line extending from 7 miles west of pennington to near laporte to park rapids, moving east at 55 mph (radar indicated). Hazards include 60 mph wind gusts and penny size hail. Expect damage to roofs, siding, and trees. these severe storms will be near, laporte around 605 am cdt. benedict around 610 am cdt. nevis around 615 am cdt. chamberlain, badoura and akeley around 620 am cdt. Other locations impacted by these severe thunderstorms include camp thunderbird east and camp thunderbird west. 6/29/2018 6:03 AM CDT At 602 am cdt, severe thunderstorms were located along a line extending from 7 miles west of pennington to near laporte to park rapids, moving east at 55 mph (radar indicated). Hazards include 60 mph wind gusts and penny size hail. Expect damage to roofs, siding, and trees. these severe storms will be near, laporte around 605 am cdt. benedict around 610 am cdt. nevis around 615 am cdt. chamberlain, badoura and akeley around 620 am cdt. Other locations impacted by these severe thunderstorms include camp thunderbird east and camp thunderbird west. 6/29/2018 5:53 AM CDT At 552 am cdt, severe thunderstorms were located along a line extending from lavinia to lake george to osage, moving east at 55 mph (radar indicated). Hazards include 60 mph wind gusts and penny size hail. Expect damage to roofs, siding, and trees. these severe storms will be near, camp wilderness and rosby around 555 am cdt. kabekona around 600 am cdt. 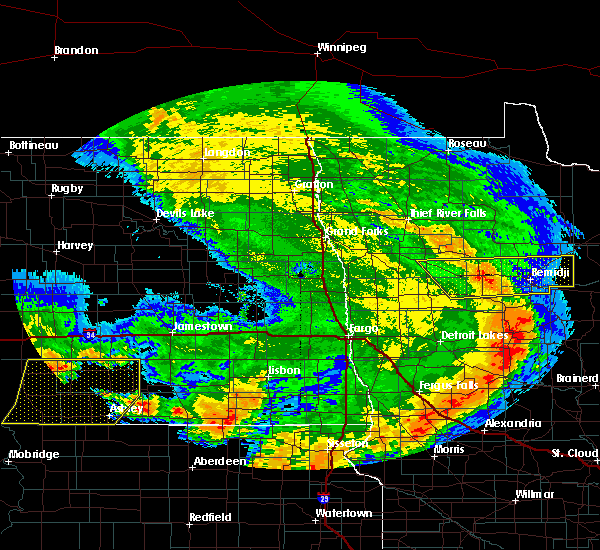 laporte and park rapids around 605 am cdt. benedict and dorset around 610 am cdt. nevis around 615 am cdt. Other locations impacted by these severe thunderstorms include camp thunderbird east, camp thunderbird west and many point scout camp. 6/29/2018 5:36 AM CDT The national weather service in grand forks has issued a * severe thunderstorm warning for. hubbard county in north central minnesota. northeastern becker county in northwestern minnesota. southeastern clearwater county in northwestern minnesota. Until 630 am cdt. 5/29/2018 4:03 PM CDT At 403 pm cdt, a severe thunderstorm was located near lake george, or 17 miles southwest of bemidji, moving north at 30 mph (radar indicated). Hazards include 60 mph wind gusts and quarter size hail. Hail damage to vehicles is expected. expect wind damage to roofs, siding, and trees. this severe storm will be near, plantagenet lake and becida around 415 pm cdt. Other locations impacted by this severe thunderstorm include camp thunderbird east and camp thunderbird west. 5/29/2018 3:47 PM CDT At 346 pm cdt, a severe thunderstorm was located near emmaville, or 27 miles south of bemidji, moving north at 35 mph (radar indicated). Hazards include 60 mph wind gusts and quarter size hail. Hail damage to vehicles is expected. expect wind damage to roofs, siding, and trees. this severe thunderstorm will be near, lake george around 355 pm cdt. eastern itasca state park around 405 pm cdt. plantagenet lake and becida around 415 pm cdt. Other locations impacted by this severe thunderstorm include camp thunderbird east and camp thunderbird west. 5/27/2018 9:42 PM CDT At 942 pm cdt, a severe thunderstorm was located near emmaville, or 26 miles south of bemidji, moving east at 30 mph (radar indicated). Hazards include 60 mph wind gusts and quarter size hail. Hail damage to vehicles is expected. expect wind damage to roofs, siding, and trees. this severe thunderstorm will be near, camp wilderness and emmaville around 950 pm cdt. lake george around 955 pm cdt. kabekona around 1005 pm cdt. laporte around 1015 pm cdt. Benedict around 1020 pm cdt. 7/21/2017 6:04 PM CDT At 603 pm cdt, severe thunderstorms were located along a line extending from 6 miles west of pennington to near portage lake to near akeley, moving east at 45 mph (radar indicated). Hazards include 60 mph wind gusts and quarter size hail. Hail damage to vehicles is expected. expect wind damage to roofs, siding, and trees. These severe thunderstorms will remain over mainly rural areas of central hubbard and southeastern beltrami counties, including the following locations: camp thunderbird east and camp thunderbird west. 7/21/2017 5:44 PM CDT The national weather service in grand forks has issued a * severe thunderstorm warning for. hubbard county in north central minnesota. southeastern beltrami county in north central minnesota. southeastern clearwater county in northwestern minnesota. Until 630 pm cdt. 7/21/2017 5:33 PM CDT At 531 pm cdt, severe thunderstorms were located along a line extending from nary to near long lost lake, moving east at 55 mph (radar indicated). Hazards include 70 mph wind gusts and quarter size hail. Hail damage to vehicles is expected. expect considerable tree damage. wind damage is also likely to mobile homes, roofs, and outbuildings. these severe storms will be near, nary, guthrie and rosby around 535 pm cdt. 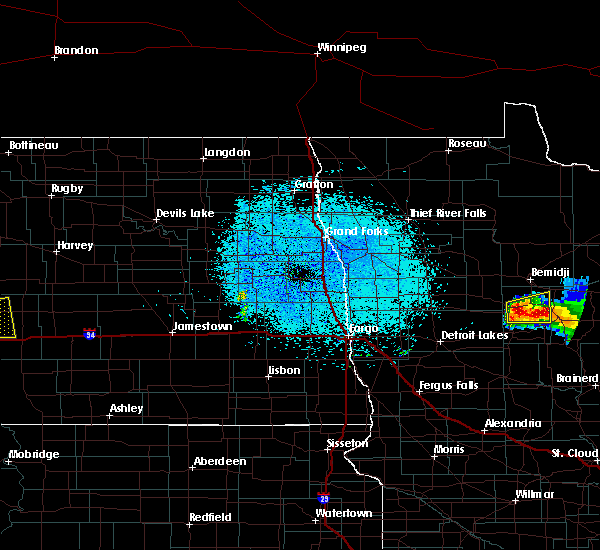 report from the bagley area had 2 inch hail with this storm. Other locations impacted by these severe thunderstorms include camp thunderbird east and camp thunderbird west. 7/21/2017 5:13 PM CDT At 512 pm cdt, a severe thunderstorm was located near alida, or 14 miles west of bemidji, moving east at 45 mph (radar indicated). Hazards include 70 mph wind gusts and quarter size hail. Hail damage to vehicles is expected. expect considerable tree damage. wind damage is also likely to mobile homes, roofs, and outbuildings. this severe storm will be near, becida around 520 pm cdt. plantagenet lake around 530 pm cdt. nary, rosby and kabekona around 535 pm cdt. guthrie around 540 pm cdt. laporte around 545 pm cdt. Other locations impacted by this severe thunderstorm include camp thunderbird east and camp thunderbird west. 7/21/2017 4:51 PM CDT At 450 pm cdt, a severe thunderstorm was located near ebro, or 27 miles west of bemidji, moving east at 45 mph (trained weather spotters). Hazards include 60 mph wind gusts and quarter size hail. Hail damage to vehicles is expected. expect wind damage to roofs, siding, and trees. this severe thunderstorm will be near, shevlin around 500 pm cdt. alida and upper rice lake around 505 pm cdt. solway around 510 pm cdt. becida around 520 pm cdt. bemidji and plantagenet lake around 525 pm cdt. Other locations impacted by this severe thunderstorm include camp thunderbird east and camp thunderbird west. 7/6/2017 3:11 AM CDT At 310 am cdt, severe thunderstorms were located along a line extending from near shevlin to laporte, moving east at 45 mph (radar indicated). Hazards include quarter size hail. Damage to vehicles is expected. these severe storms will be near, laporte and benedict around 315 am cdt. 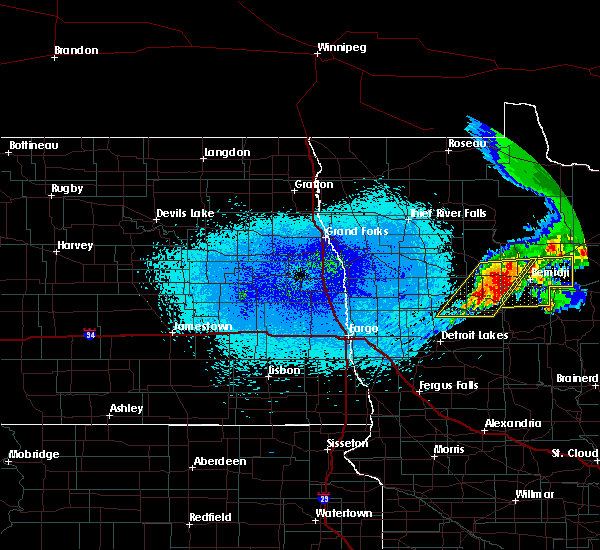 wilton around 330 am cdt. 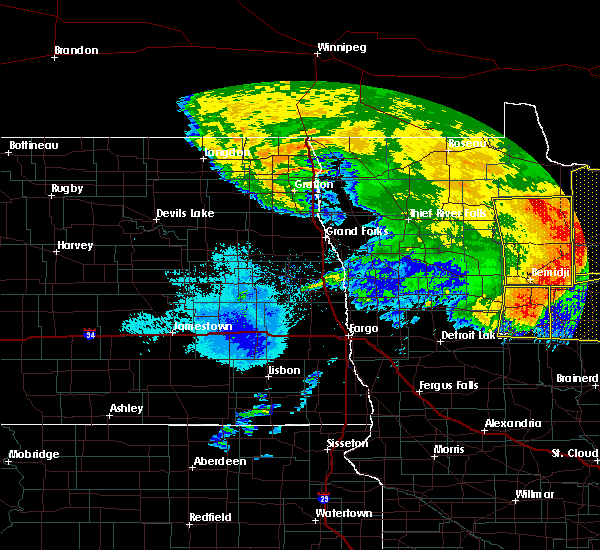 bemidji around 335 am cdt. 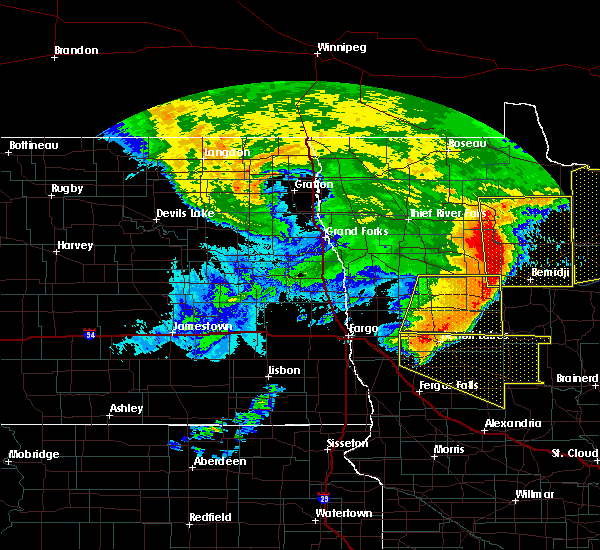 lavinia around 340 am cdt. Turtle river around 345 am cdt. 7/6/2017 2:53 AM CDT At 252 am cdt, severe thunderstorms were located along a line extending from near ebro to near lake george, moving east at 55 mph (radar indicated). Hazards include quarter size hail. Damage to vehicles is expected. severe thunderstorms will be near, lake george around 255 am cdt. kabekona around 300 am cdt. laporte, shevlin and guthrie around 305 am cdt. benedict and solway around 310 am cdt. Becida around 315 am cdt. 6/21/2017 7:39 PM CDT At 738 pm cdt, a severe thunderstorm was located over upper rice lake, or 22 miles west of bemidji, moving east at 60 mph (radar indicated). Hazards include golf ball size hail and 70 mph wind gusts. People and animals outdoors will be injured. expect hail damage to roofs, siding, windows, and vehicles. expect considerable tree damage. wind damage is also likely to mobile homes, roofs, and outbuildings. this severe storm will be near, upper rice lake around 740 pm cdt. 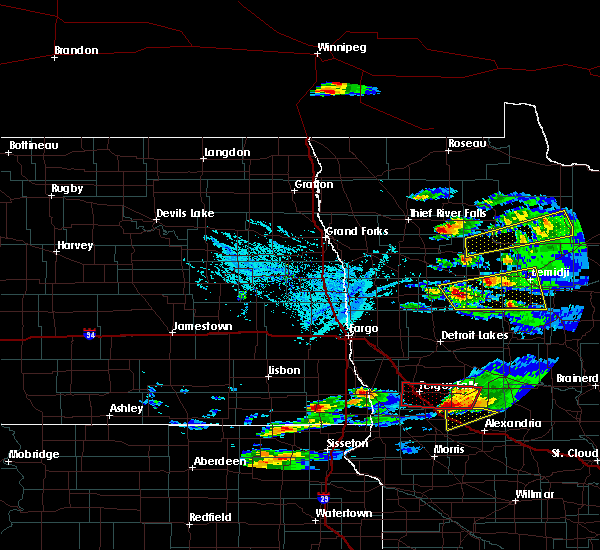 alida around 745 pm cdt. becida around 750 pm cdt. wilton around 755 pm cdt. 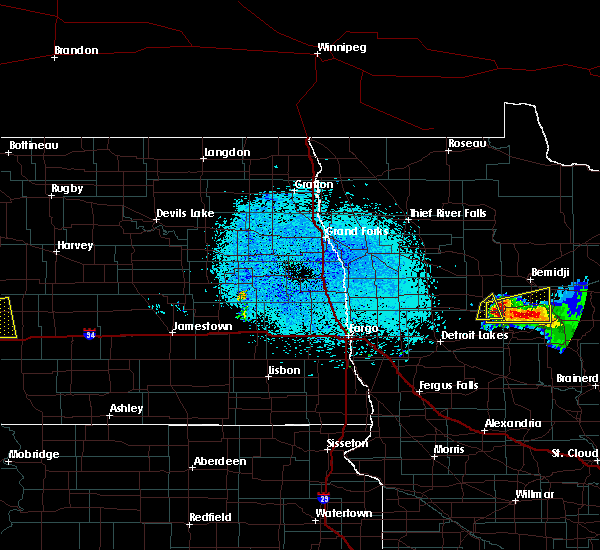 Bemidji around 800 pm cdt. 6/21/2017 7:23 PM CDT At 723 pm cdt, a severe thunderstorm was located near mahkonce, or 35 miles north of detroit lakes, moving east at 50 mph (radar indicated). Hazards include 60 mph wind gusts and quarter size hail. Hail damage to vehicles is expected. expect wind damage to roofs, siding, and trees. this severe thunderstorm will be near, naytahwaush around 725 pm cdt. roy lake, mahkonce and pine bend around 730 pm cdt. 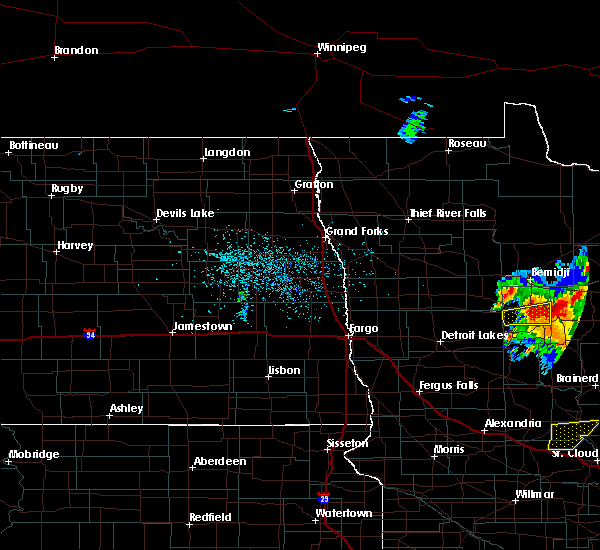 rice lake and lower rice lake around 735 pm cdt. 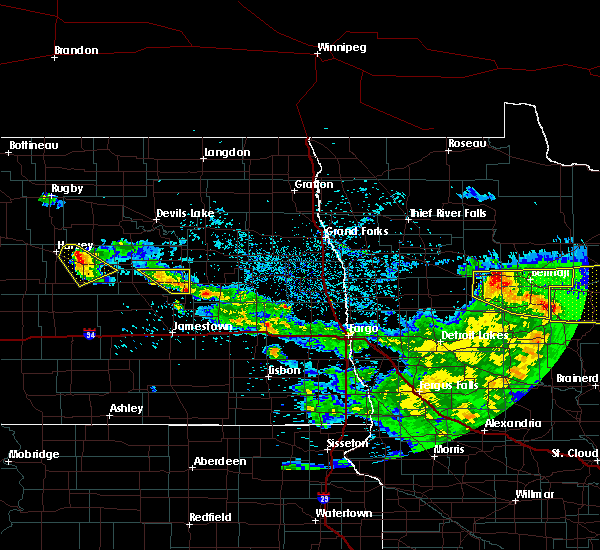 zerkel around 740 pm cdt. Upper rice lake around 745 pm cdt. 6/10/2017 1:55 AM CDT At 154 am cdt, a severe thunderstorm was located near lake itasca, or 24 miles southwest of bemidji, moving east at 30 mph (radar indicated. this storm has a history of producing quarter to half dollar sized hail). Hazards include golf ball size hail and 60 mph wind gusts. People and animals outdoors will be injured. expect hail damage to roofs, siding, windows, and vehicles. expect wind damage to roofs, siding, and trees. this severe storm will be near, lake george around 210 am cdt. kabekona around 220 am cdt. laporte and guthrie around 230 am cdt. Benedict around 235 am cdt. 6/10/2017 1:40 AM CDT At 139 am cdt, a severe thunderstorm was located near bad medicine lake, or 31 miles southwest of bemidji, moving east at 30 mph (public reported 20 minutes of up to quarter sized hail in near white earth). Hazards include golf ball size hail and 60 mph wind gusts. People and animals outdoors will be injured. expect hail damage to roofs, siding, windows, and vehicles. expect wind damage to roofs, siding, and trees. 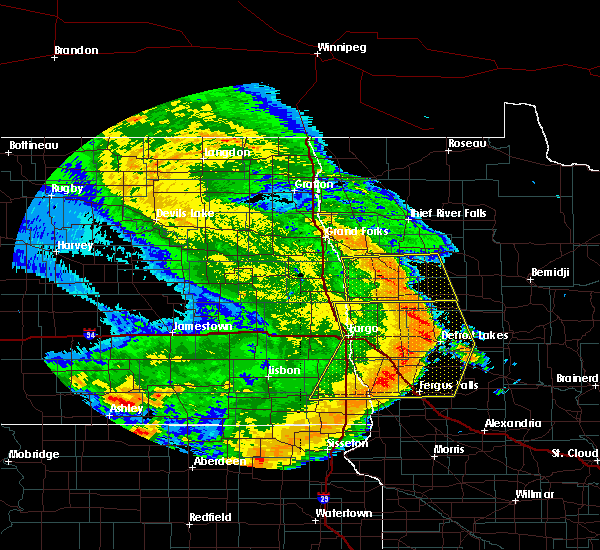 this severe thunderstorm will be near, two inlets around 145 am cdt. lake itasca around 155 am cdt. lake george around 210 am cdt. kabekona around 220 am cdt. Laporte and guthrie around 230 am cdt. 8/27/2016 4:16 PM CDT At 416 pm cdt, a severe thunderstorm was located near lake george, or 16 miles southwest of bemidji, moving southeast at 25 mph (radar indicated). Hazards include quarter size hail. Damage to vehicles is expected. this severe thunderstorm will be near, lake george around 430 pm cdt. Laporte, kabekona and guthrie around 445 pm cdt. 7/21/2016 1:08 AM CDT At 107 am cdt, severe thunderstorms were located along a line extending from red lake to near benedict to near butler, moving east at 55 mph. these are very dangerous storms (radar indicated). Hazards include 80 mph wind gusts and quarter size hail. Flying debris will be dangerous to those caught without shelter. mobile homes will be heavily damaged. expect considerable damage to roofs, windows, and vehicles. extensive tree damage and power outages are likely. these severe storms will be near, laporte and benedict around 110 am cdt. akeley and menahga around 115 am cdt. 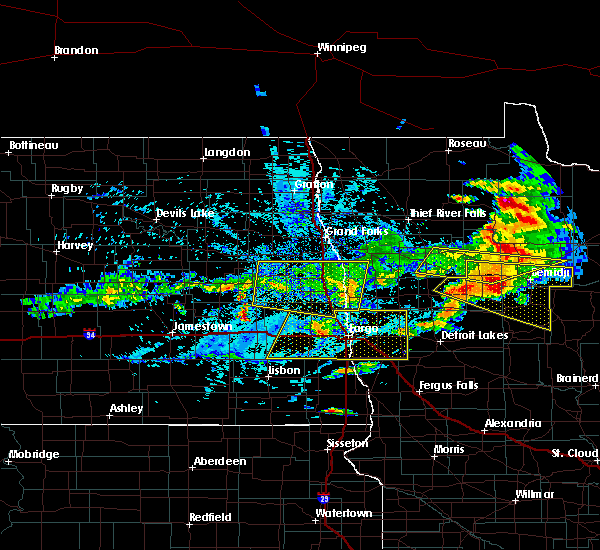 sebeka around 120 am cdt. blackduck and nimrod around 130 am cdt. oylen, funkley and shooks around 135 am cdt. Spotters are reporting numerous trees blown over and other significant wind damage along the entire line of thunderstorms. 7/21/2016 12:43 AM CDT At 1242 am cdt, severe thunderstorms were located along a line extending from near debs to near lake itasca to height of land lake, moving east at 65 mph. these are very dangerous storms (radar indicated). Hazards include 80 mph wind gusts and quarter size hail. Flying debris will be dangerous to those caught without shelter. mobile homes will be heavily damaged. expect considerable damage to roofs, windows, and vehicles. extensive tree damage and power outages are likely. 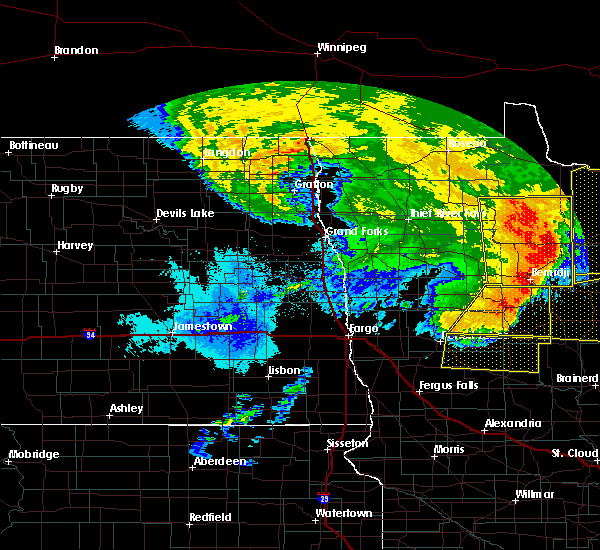 severe thunderstorms will be near, lake itasca around 1245 am cdt. lake george and island lake in beltrami county around 1250 am cdt. 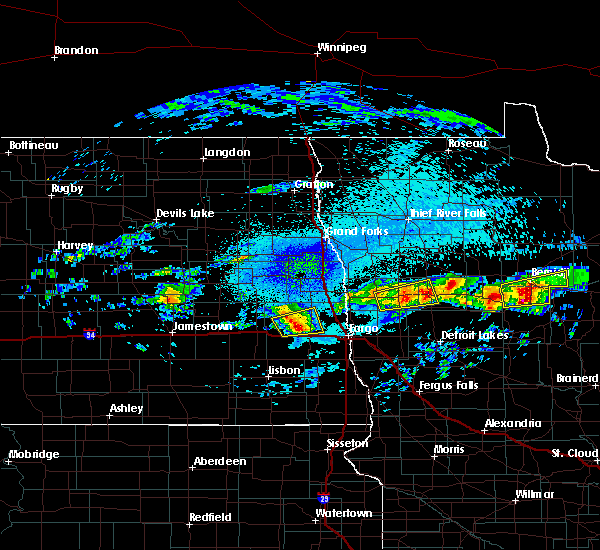 wolf lake, puposky and emmaville around 1255 am cdt. midway and hillview around 100 am cdt. 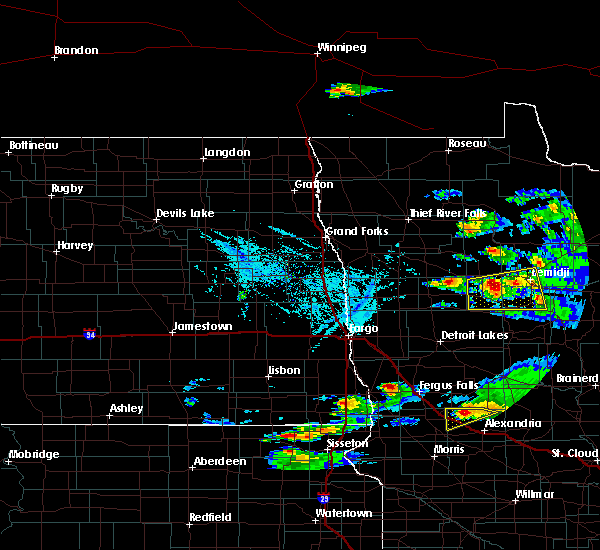 Tenstrike, menahga and akeley around 105 am cdt. 7/19/2016 10:41 PM CDT At 1040 pm cdt, a severe thunderstorm was located near cass lake, or 11 miles east of bemidji, moving east at 25 mph (radar indicated). Hazards include 60 mph wind gusts and nickel size hail. Expect damage to roofs. siding. and trees. this severe storm will be near, pennington around 1055 pm cdt. An additional storm near becida will continue to move east at 25 mph, with 60 mph wind gusts possible. 7/19/2016 10:27 PM CDT At 1026 pm cdt, severe thunderstorms were located along a line extending from 6 miles west of dixon lake to near alida, moving south at 25 mph (radar indicated. trees have been reported down due to strong winds within and to the north of bemedji). Hazards include 60 mph wind gusts and quarter size hail. Hail damage to vehicles is expected. expect wind damage to roofs, siding, and trees. these severe storms will be near, pennington around 1040 pm cdt. Lake george around 1100 pm cdt. 7/19/2016 10:14 PM CDT At 1013 pm cdt, severe thunderstorms were located along a line extending from 6 miles west of dixon lake to alida, moving southeast at 35 mph (radar indicated). Hazards include 60 mph wind gusts and quarter size hail. Hail damage to vehicles is expected. expect wind damage to roofs, siding, and trees. 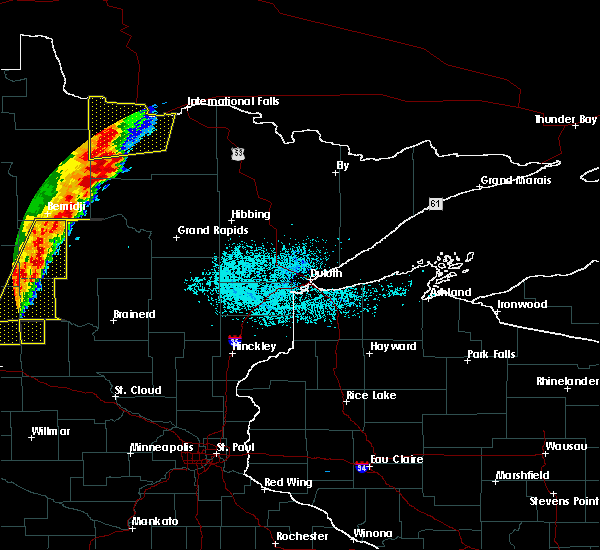 these severe storms will be near, bemidji around 1015 pm cdt. pennington around 1020 pm cdt. lake george around 1040 pm cdt. kabekona around 1045 pm cdt. Emmaville around 1055 pm cdt. 7/19/2016 9:59 PM CDT At 958 pm cdt, severe thunderstorms were located along a line extending from near tenstrike to near shevlin, moving southeast at 25 mph (radar indicated). Hazards include 60 mph wind gusts and quarter size hail. Hail damage to vehicles is expected. expect wind damage to roofs, siding, and trees. severe thunderstorms will be near, tenstrike and turtle river around 1000 pm cdt. 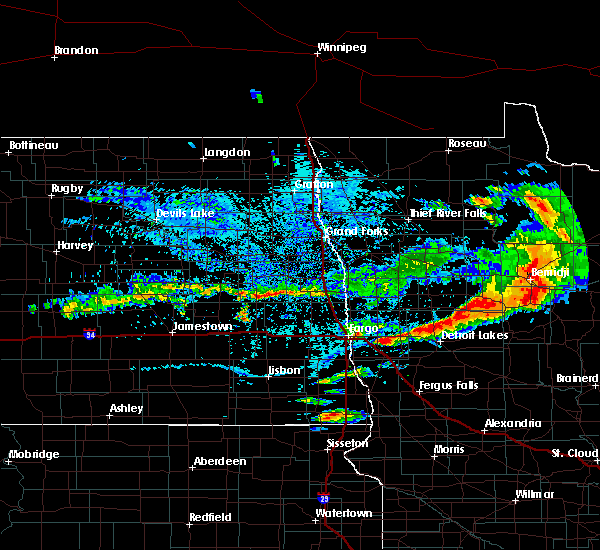 alida around 1015 pm cdt. becida around 1025 pm cdt. pennington around 1030 pm cdt. Lake george and kabekona around 1050 pm cdt. 7/11/2016 3:04 AM CDT At 303 am cdt, severe thunderstorms were located along a line extending from near guthrie to near oshawa to 6 miles west of eagle bend, moving east at 40 mph (radar indicated). Hazards include 70 mph wind gusts and penny size hail. Expect considerable tree damage. damage is likely to mobile homes, roofs, and outbuildings. These severe thunderstorms will remain over mainly rural areas of southeastern otter tail, wadena and eastern hubbard counties. 7/11/2016 2:46 AM CDT At 245 am cdt, severe thunderstorms were located along a line extending from near nary to near badoura to near wrightstown, moving east at 60 mph (radar indicated). Hazards include 70 mph wind gusts and penny size hail. Expect considerable tree damage. damage is likely to mobile homes, roofs, and outbuildings. 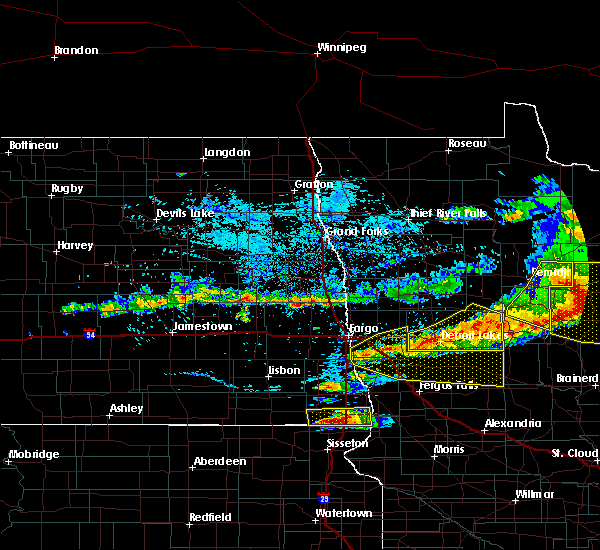 severe thunderstorms will be near, chamberlain, badoura and guthrie around 250 am cdt. Staples airport around 310 am cdt. 7/11/2016 2:34 AM CDT At 233 am cdt, severe thunderstorms were located along a line extending from near becida to hubbard to near almora, moving east at 55 mph (radar indicated). Hazards include 70 mph wind gusts and penny size hail. Expect considerable tree damage. damage is likely to mobile homes, roofs, and outbuildings. 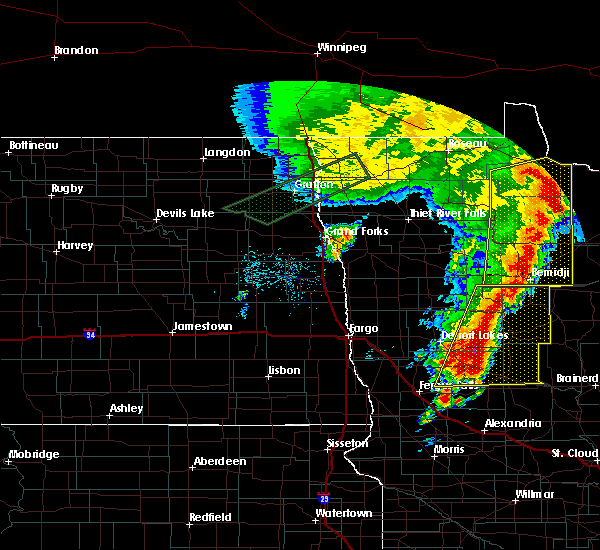 these severe storms will be near, lake george, park rapids and menahga around 235 am cdt. huntersville, kabekona and dorset around 240 am cdt. 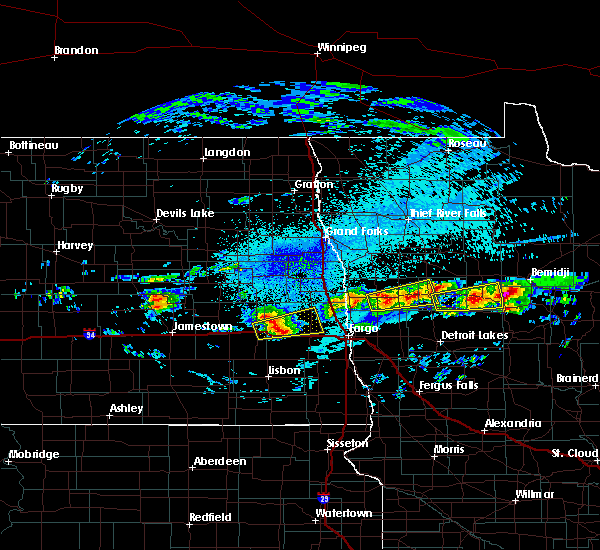 laporte, wrightstown and badoura around 245 am cdt. Also includes interstate 94 in minnesota between mile markers 42 and 58. 7/11/2016 1:45 AM CDT At 143 am cdt, severe thunderstorms were located along a line extending from near faith to just east of lake park to near elizabeth, moving east at 60 mph. these are very dangerous storms (radar indicated). Hazards include 80 mph wind gusts. Flying debris will be dangerous to those caught without shelter. mobile homes will be heavily damaged. expect considerable damage to roofs, windows, and vehicles. extensive tree damage and power outages are likely. 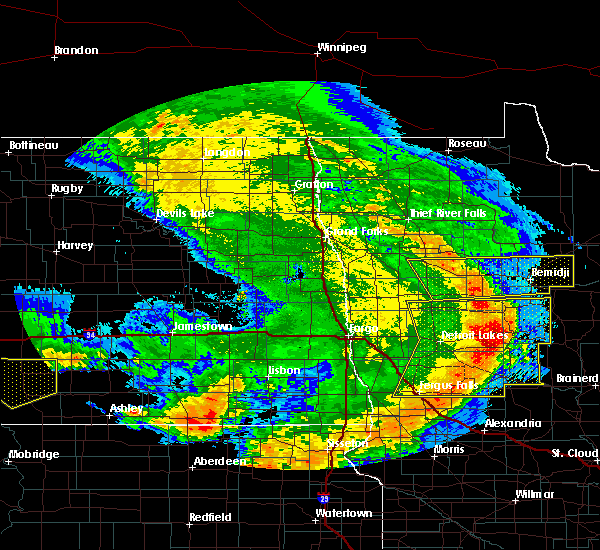 a trained spotter measured 91 mph wind gust near 2 miles west of lake park. severe thunderstorms will be near, shoreham and westbury around 145 am cdt. 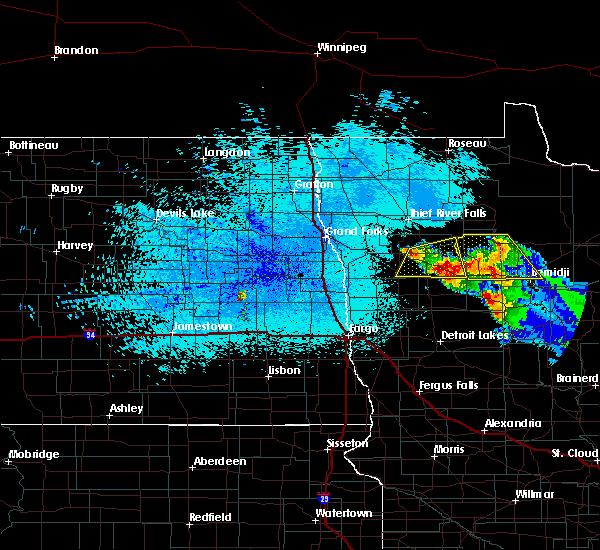 detroit lakes and waubun around 150 am cdt. 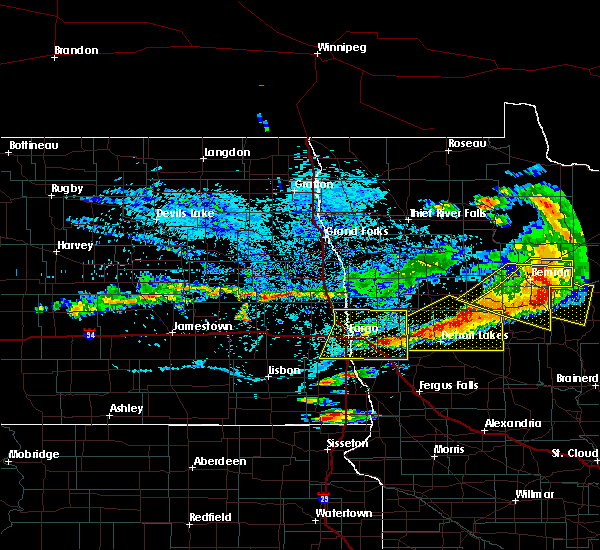 rochert around 155 am cdt. underwood, height of land lake and phelps around 200 am cdt. toad lake, battle lake and naytahwaush around 205 am cdt. Also includes interstate 94 in minnesota between mile markers 42 and 58. 6/17/2016 10:32 AM CDT At 1031 am cdt, a severe thunderstorm was located near bluffton, or 36 miles southeast of detroit lakes, moving east at 30 mph (radar indicated). Hazards include ping pong ball size hail and 60 mph wind gusts. People and animals outdoors will be injured. expect hail damage to roofs, siding, windows, and vehicles. expect wind damage to roofs, siding, and trees. 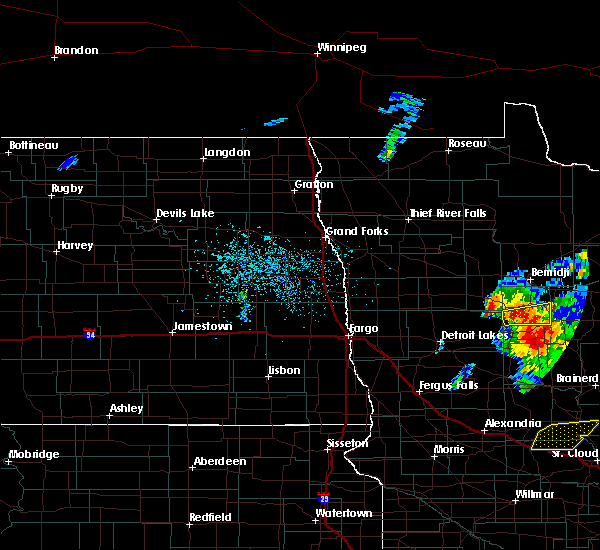 this severe storm will be near, wadena around 1035 am cdt. sebeka around 1040 am cdt. Blue grass around 1045 am cdt. 6/17/2016 10:05 AM CDT At 1003 am cdt, severe thunderstorms were located along a line extending from near wilton to ottertail, moving east at 50 mph (radar indicated. 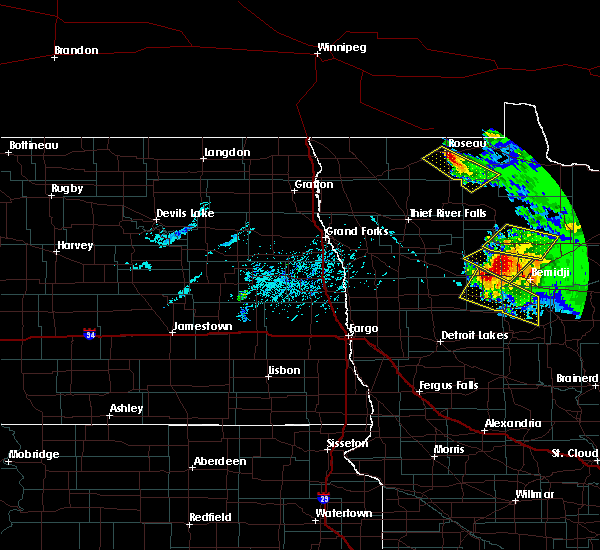 the highest threat for large hail is currently near new york mills in northeastern ottertail county). Hazards include ping pong ball size hail and 60 mph wind gusts. People and animals outdoors will be injured. expect hail damage to roofs, siding, windows, and vehicles. expect wind damage to roofs, siding, and trees. these severe storms will be near, new york mills, deer creek and rosby around 1015 am cdt. bluffton around 1020 am cdt. wadena around 1025 am cdt. sebeka and blue grass around 1035 am cdt. Oylen and nimrod around 1045 am cdt. 6/17/2016 9:51 AM CDT At 951 am cdt, severe thunderstorms were located along a line extending from alida to amor, moving east at 50 mph (radar indicated). Hazards include 60 mph wind gusts and quarter size hail. Hail damage to vehicles is expected. expect wind damage to roofs, siding, and trees. 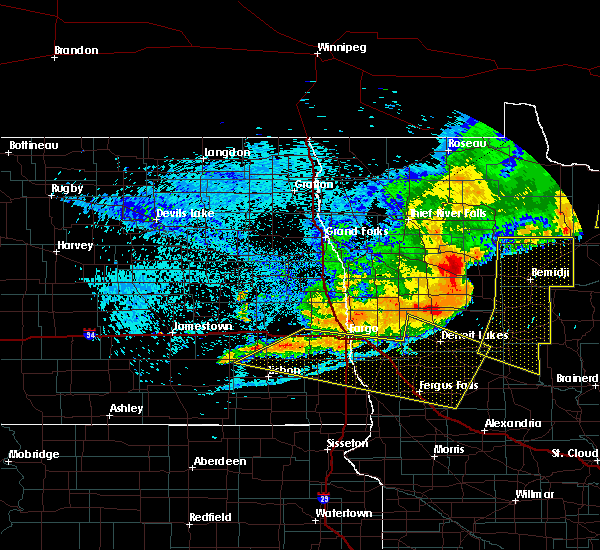 severe thunderstorms will be near, alida and upper rice lake around 955 am cdt. becida around 1000 am cdt. new york mills, deer creek and rosby around 1015 am cdt. bluffton around 1020 am cdt. Wadena around 1025 am cdt. 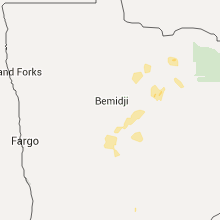 9/6/2015 2:58 PM CDT At 258 pm cdt, a severe thunderstorm was located near nary, or 10 miles south of bemidji, moving east at 20 mph (radar indicated). Hazards include 60 mph wind gusts and quarter size hail. Hail damage to vehicles is expected. expect wind damage to roofs, siding and trees. this severe thunderstorm will be near, guthrie and nary around 310 pm cdt. 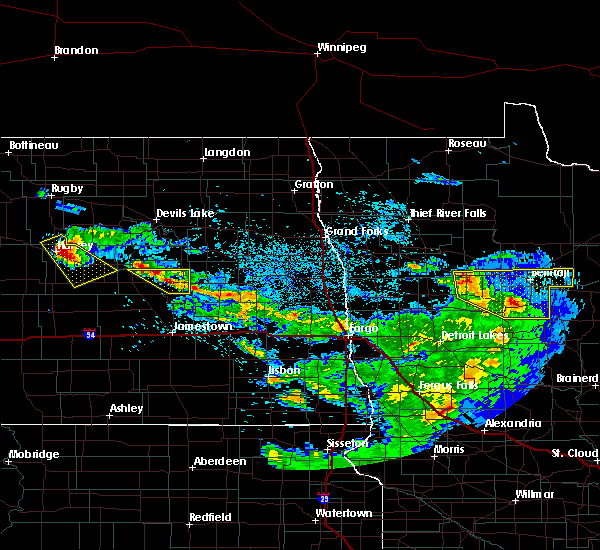 Rosby around 315 pm cdt. 8/12/2015 11:43 PM CDT At 1141 pm cdt, a severe thunderstorm was located near tulaby lake, or 22 miles northeast of detroit lakes, moving south at 45 mph (radar indicated. 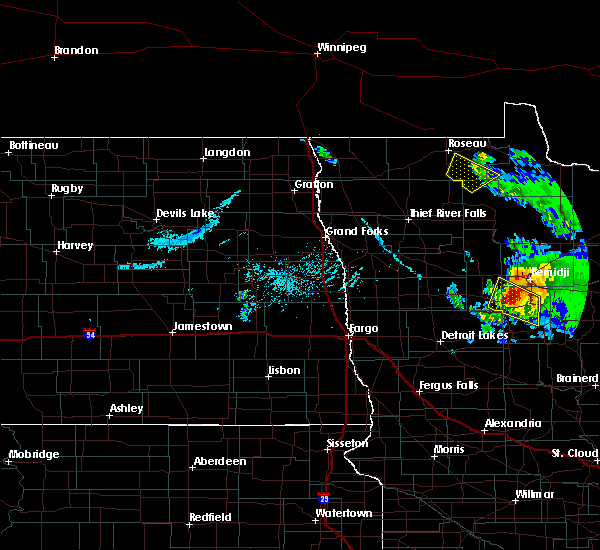 at 1133 pm...golfball sized hail was reported 10 east southeast of beaulieu mn by a trained spotter). Hazards include 70 mph wind gusts and half dollar size hail. Hail damage to vehicles is expected. expect considerable tree damage. wind damage is also likely to mobile homes, roofs and outbuildings. this severe thunderstorm will be near, pine point around 1155 pm cdt. height of land lake and rochert around 1200 am cdt. 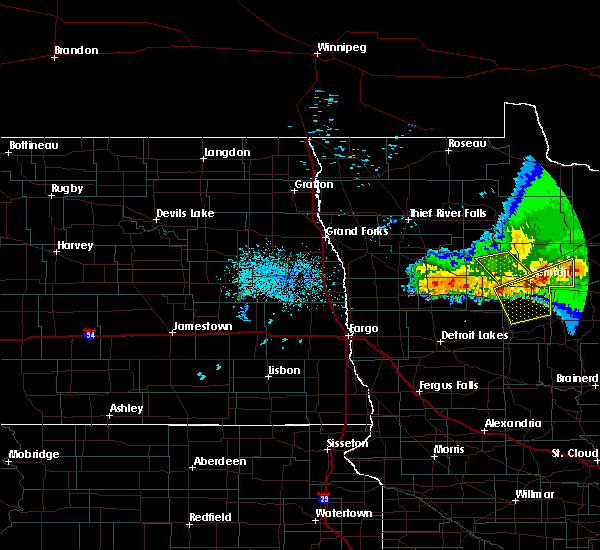 toad lake and snellman around 1205 am cdt. wolf lake around 1210 am cdt. Evergreen around 1215 am cdt. 8/12/2015 11:10 PM CDT At 1107 pm cdt, severe thunderstorms were located along a line extending from solway to near ebro to near beaulieu, moving south at 30 mph. in addition, a severe storm with over inch sized hail has developed out ahead of the line near lake itasca (radar indicated). Hazards include 70 mph wind gusts and half dollar size hail. Hail damage to vehicles is expected. expect considerable tree damage. wind damage is also likely to mobile homes, roofs and outbuildings. 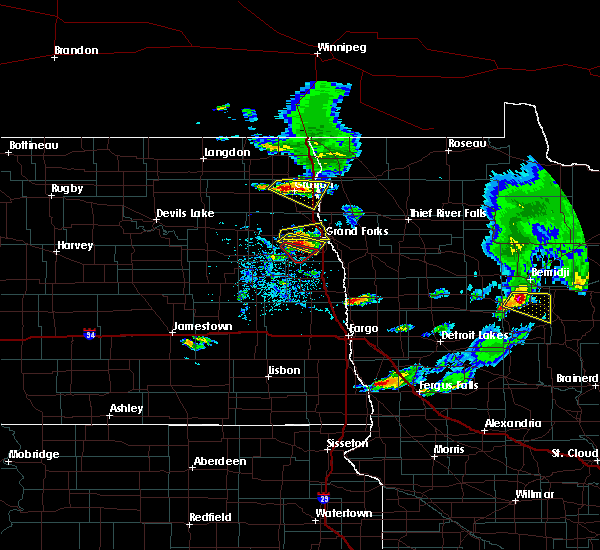 these severe storms will be near, rice lake around 1115 pm cdt. 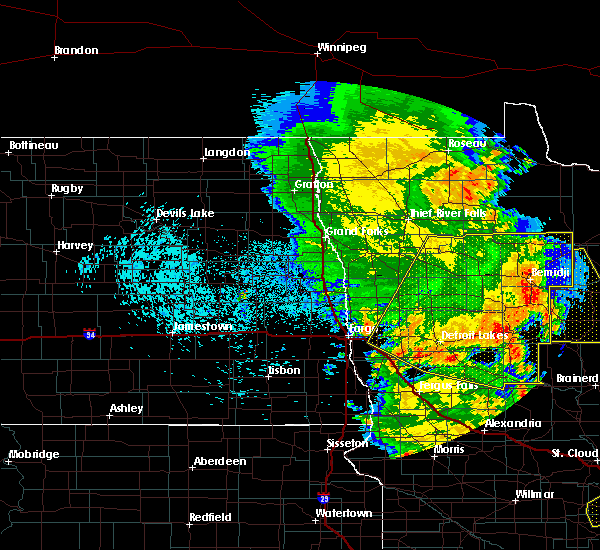 beaulieu, alida and upper rice lake around 1120 pm cdt. lower rice lake, roy lake and mahkonce around 1125 pm cdt. 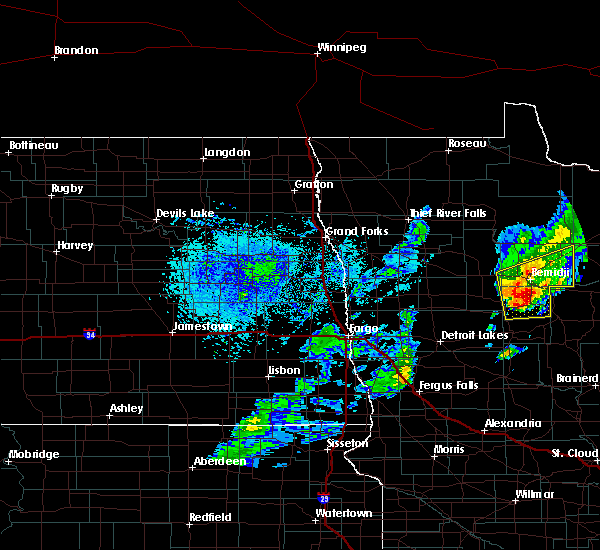 becida and zerkel around 1130 pm cdt. Waubun around 1135 pm cdt. 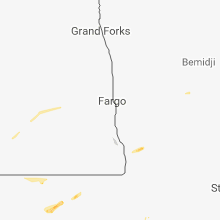 8/12/2015 10:42 PM CDT At 1042 pm cdt, severe thunderstorms were located along a line extending from near pinewood to near bagley to near fosston, moving southeast at 35 mph (radar indicated). Hazards include 70 mph wind gusts and half dollar size hail. Hail damage to vehicles is expected. expect considerable tree damage. wind damage is also likely to mobile homes, roofs and outbuildings. 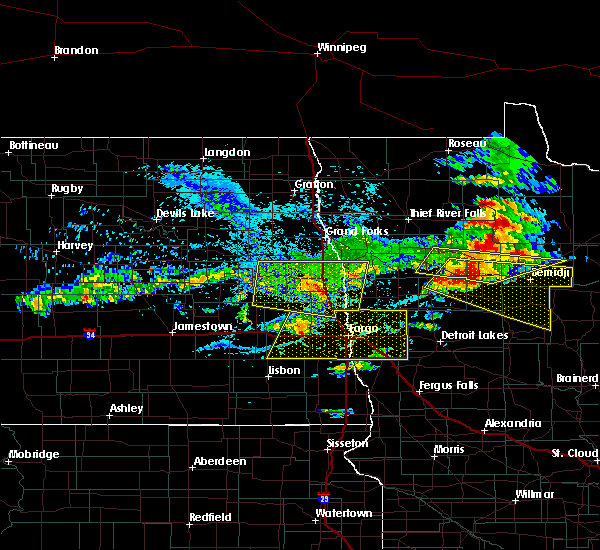 severe thunderstorms will be near, leonard and ebro around 1045 pm cdt. bagley and pinewood around 1050 pm cdt. shevlin and solway around 1055 pm cdt. 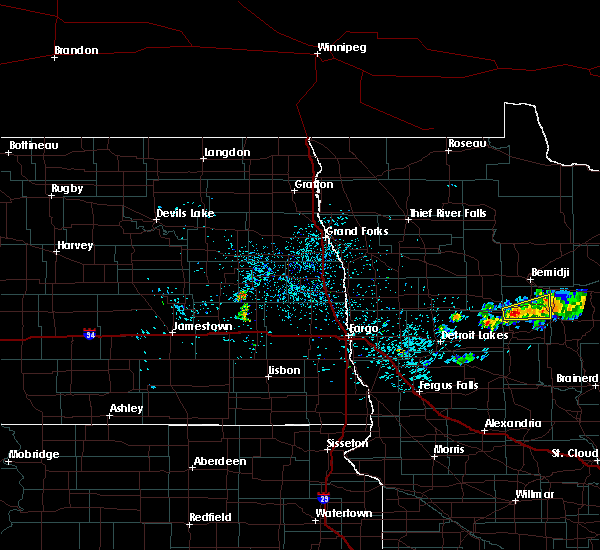 pine bend around 1100 pm cdt. 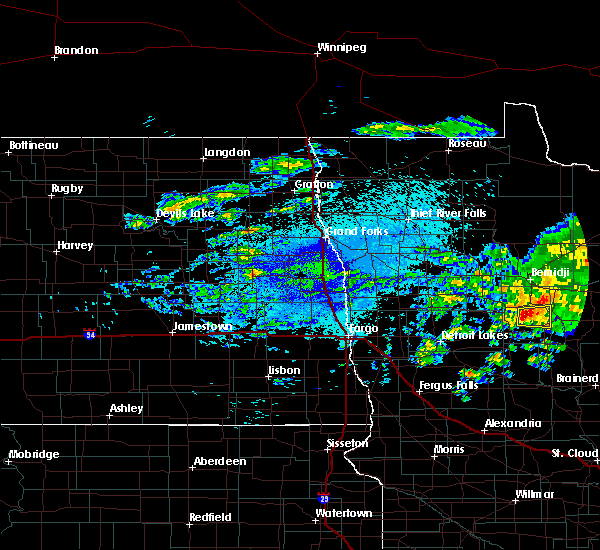 Wilton and upper rice lake around 1105 pm cdt. 8/12/2015 6:33 PM CDT At 632 pm cdt, a severe thunderstorm was located near emmaville, or 25 miles south of bemidji, moving southeast at 35 mph (radar indicated). Hazards include 70 mph wind gusts and quarter size hail. Hail damage to vehicles is expected. expect considerable tree damage. wind damage is also likely to mobile homes, roofs and outbuildings. 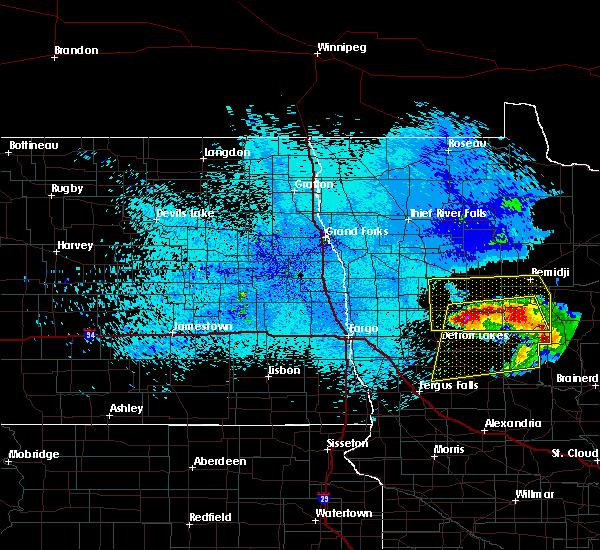 this severe thunderstorm will be near, nevis, akeley and dorset around 650 pm cdt. Chamberlain and badoura around 705 pm cdt. 8/12/2015 6:28 PM CDT At 627 pm cdt, a severe thunderstorm was located over lake george, or 18 miles south of bemidji, moving southeast at 30 mph (radar indicated). Hazards include 70 mph wind gusts and ping pong ball size hail. People and animals outdoors will be injured. expect hail damage to roofs, siding, windows and vehicles. expect considerable tree damage. wind damage is also likely to mobile homes, roofs and outbuildings. This severe storm will be near, kabekona around 630 pm cdt. 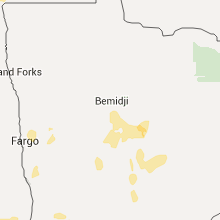 8/12/2015 6:14 PM CDT At 612 pm cdt, a severe thunderstorm was located near becida, or 16 miles southwest of bemidji, moving southeast at 40 mph (radar indicated). Hazards include 70 mph wind gusts and ping pong ball size hail. People and animals outdoors will be injured. expect hail damage to roofs, siding, windows and vehicles. expect considerable tree damage. wind damage is also likely to mobile homes, roofs and outbuildings. this severe storm will be near, lake george and kabekona around 625 pm cdt. Emmaville around 635 pm cdt. 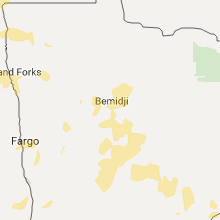 8/12/2015 5:46 PM CDT At 545 pm cdt, a severe thunderstorm was located near bagley, or 21 miles west of bemidji, moving southeast at 35 mph (radar indicated). Hazards include 60 mph wind gusts and half dollar size hail. Hail damage to vehicles is expected. expect wind damage to roofs, siding and trees. 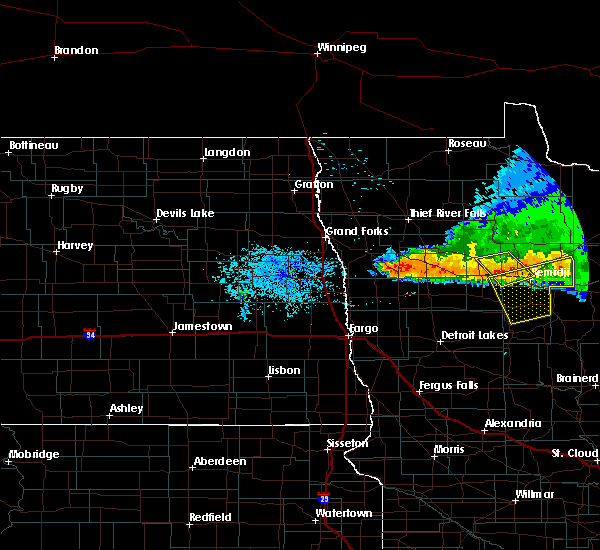 this severe thunderstorm will be near, upper rice lake around 555 pm cdt. 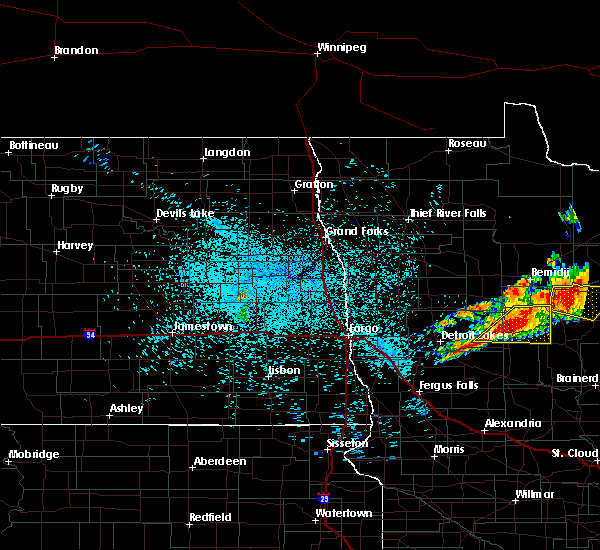 alida around 600 pm cdt. becida around 610 pm cdt. lake george around 630 pm cdt. Kabekona and guthrie around 635 pm cdt. 7/24/2015 2:17 AM CDT At 215 am cdt, severe thunderstorms were located along a line extending from 7 miles southeast of hines to walker to near hillview, moving east at 50 mph (public). Hazards include 70 mph wind gusts and penny size hail. Expect considerable tree damage. damage is likely to mobile homes, roofs and outbuildings. 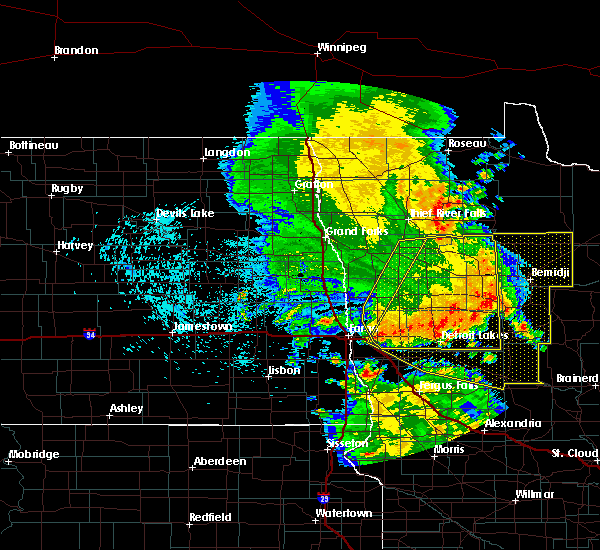 damage has been reported in mahnomen and lake park. These severe storms will be near, huntersville and nimrod around 225 am cdt. 7/24/2015 1:55 AM CDT At 153 am cdt, severe thunderstorms were located along a line extending from near puposky to near emmaville to near frazee, moving east at 45 mph (public). Hazards include 70 mph wind gusts and penny size hail. Expect considerable tree damage. damage is likely to mobile homes, roofs and outbuildings. 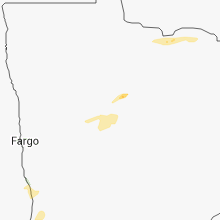 power outages have been reported in lake park in becker county. these severe storms will be near, lake george, emmaville and puposky around 155 am cdt. turtle river, lavinia and nevis around 205 am cdt. tenstrike and butler around 210 am cdt. akeley, hillview, benedict, hines and midway around 215 am cdt. 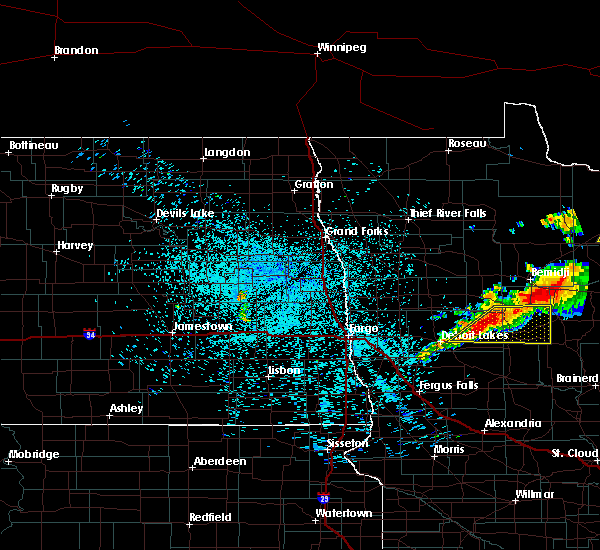 Sebeka, menahga and pennington around 225 am cdt. 7/24/2015 1:24 AM CDT At 123 am cdt, severe thunderstorms were located along a line extending from near leonard to near bad medicine lake to near cormorant, moving east at 55 mph (radar indicated). Hazards include 70 mph wind gusts and penny size hail. Expect considerable tree damage. damage is likely to mobile homes, roofs and outbuildings. severe thunderstorms will be near, bad medicine lake, clearbrook, many point lake, leonard and long lost lake around 125 am cdt. 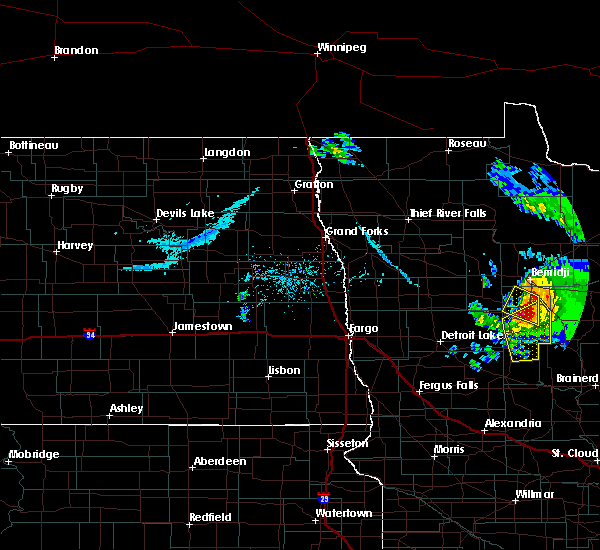 debs around 130 am cdt. 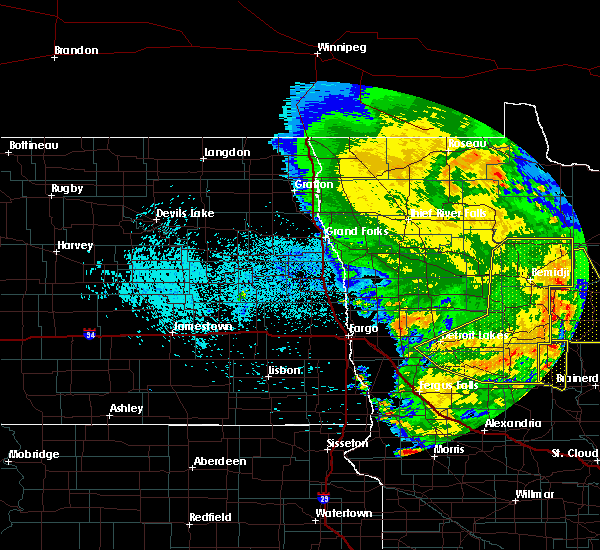 detroit lakes, pinewood and two inlets around 135 am cdt. 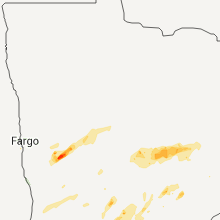 frazee, vergas and rochert around 140 am cdt. Lake george, height of land lake, puposky and nebish around 145 am cdt.